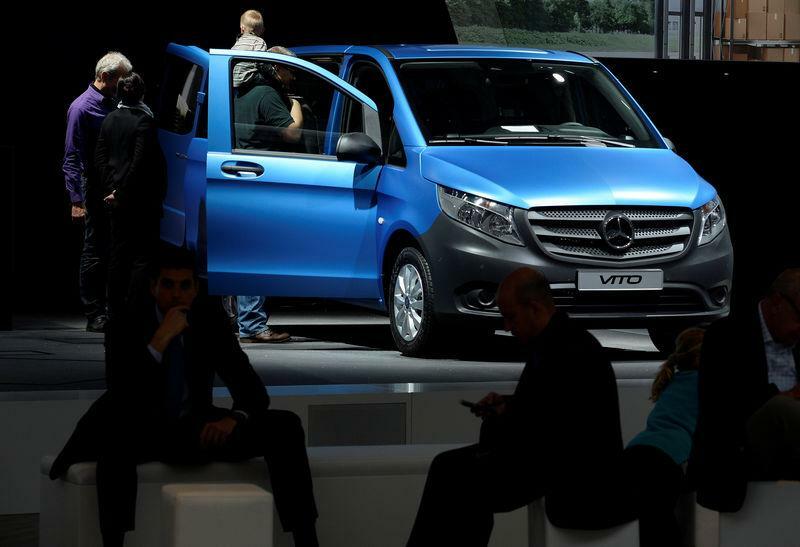 FRANKFURT (Reuters) - Germany's road vehicle authority ordered Daimler (DAIGn.DE) on Thursday to recall its Mercedes van model Vito 1.6l Diesel Euro 6, saying engine control features to reduce exhaust emissions were in breach of regulations. Daimler said it would appeal against the decision and fight it in court, if necessary, though it said it was cooperating fully with the regulator KBA. Car owners would be informed about a free-of-charge software update as soon as it is available, the carmaker added. Germany's Transport Ministry in February began looking into alleged use of an illegal defeat device in about 1,000 Mercedes-Benz Vito vehicles. Daimler said on Thursday the software features in question were not necessary for the Vito model to pass European emission tests. Since rival Volkswagen (VOWG_p.DE) admitted in 2015 to cheating U.S. emissions tests, German carmakers including VW, Daimler and BMW (BMWG.DE) have faced a backlash against diesel technology in which they have invested billions of euros. Prosecutors in Stuttgart, where Daimler is based, have been investigating staff at the carmaker for more than a year on suspicion of false advertising and the possible manipulation of emission-control features. A spokesman for the prosecutor's office said investigations were widened about two months ago to include the Vito and bring to light the circumstances of suspected manipulations of the van's emissions, confirming a report by German magazine Wirtschaftswoche. U.S. investigators, in turn, are looking into on-board software that may have helped Mercedes-Benz vehicle to pass diesel emissions tests, German weekly Bild am Sonntag reported in February, citing confidential documents.